It only takes a moment to form a first impression and once formed, it can be very difficult to change. When your visitors arrive on your web site, what is the reaction you want them to have? Just one glance is all it takes for visitors to decide whether they deem your company, brand, or products to be credible and worth a second look. User experience is a critical element when it comes to converting your customers. If your site's valuable content can't be easily found, your users will go elsewhere. Simple, intuitive and easy to navigate web sites are a must. It's essential that users feel that everything is right where they expect it should be. Visuals will draw visitors in, but content is what makes them stay and engage with your company, brand and products. A successful web site's message must have a clear, concise, and compelling message and effective calls to action throughout. We work with our clients to ensure that site content is not only well written, but also optimized for search engines without compromising their ability to clearly convey their business objectives to the consumer. The ultimate goal of a successful web site is to convert visitors to customers. Conversion informs the entire development process. We'll help you to determine the most effective conversion funnels for your web site and ensure that this is supported through design, coding, and content. Through ongoing optimization we will help make your web site the primary tool for your company's growth. A vital component of any successful web site is lots and lots of quality traffic. Every web site we build is developed based on search engine optimization best practices. Once these building blocks are in place, we'll guide you through the many options of increasing traffic by way of social media marketing, email marketing and more. 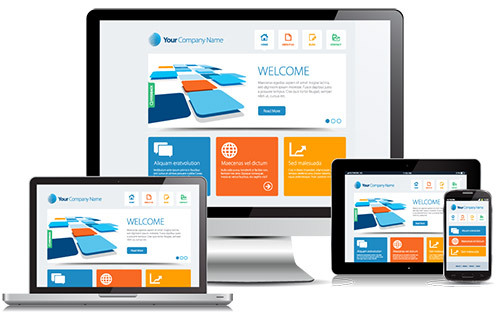 Config3 is a web design and development studio specializing in responsive HTML5 and CSS3 web sites. We employ the most current web technologies in order to provide awesome user experiences that convert visitors into customers. Copyright 2019 Config3 / All rights reserved.